Predictive Analytical System for predicting pavement deterioration. Predictive maintenance with ML for tyre production stations. Predictive analysis for the optimization of plastic production lines. Winners in the category of Business Management, which rewards newly created companies that stand out in their development and evolution. Very proud to announce this news! Last Thursday the Tyris AI team received the Innovation Award 2018 granted by the construction company SACYR for the Predictive Analytical System Machine Learning to predict pavement deterioration on roads. 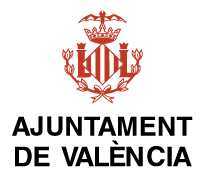 It has been an exciting process in which 80 technologies from all over Spain were presented, providing different technologies to tackle the project. 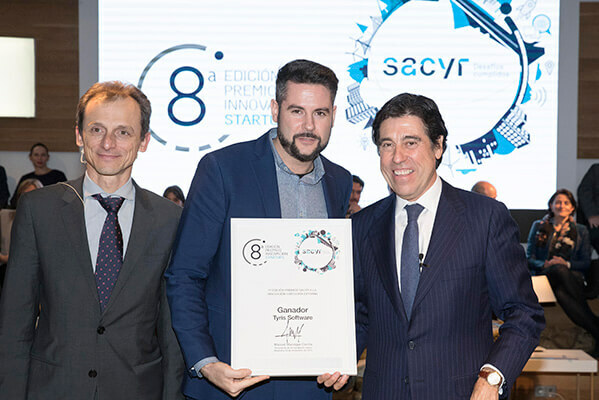 The award was presented by the Minister of Science and Innovation, Pedro Duque and the president of SACYR, Manuel Marique. Thanks to all the technical team of Tyris AI and Marcos Martinez Peiro of i3M for their contribution! Congratulations to everyone!